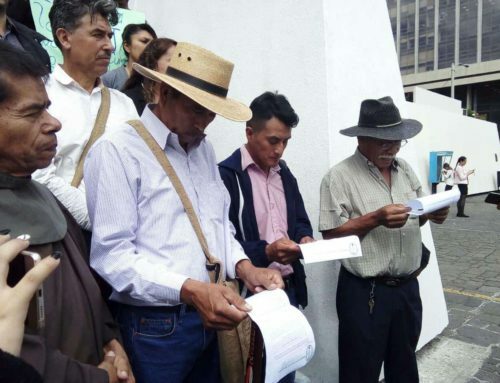 Members of the Peaceful Resistance of Santa Rosa, Jalapa, and Jutiapa at a press conference in front of the Guatemalan Constitutional Court on February 21, 2018. Miguel Colop Hernádez from the Office of the Human Rights Ombudsman (PDH) told Guatemalan media about how his office mediated the incident in El Tablón, stating that residents were “acting in defence of their rights” when they stopped the Tahoe representatives along the road insisting that they identify themselves and that they respect the suspension. In contrast, a sensationalist article published Friday in a UK newspaper that has been banned as a reference by Wikileaks describes the incident as a terrifying hostage-taking by a gang of armed men. 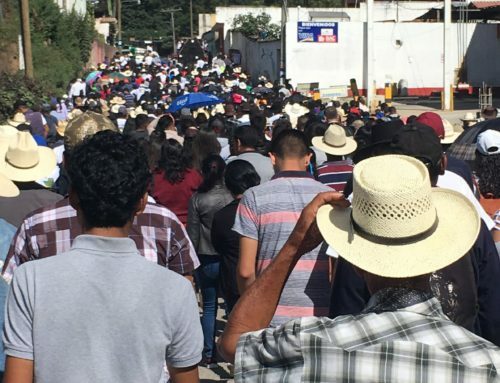 The Guatemalan human rights official, on the other hand, made no mention of violence or threat of violence in his report, stating that the incident was resolved through dialogue and that the company representatives were freed immediately. 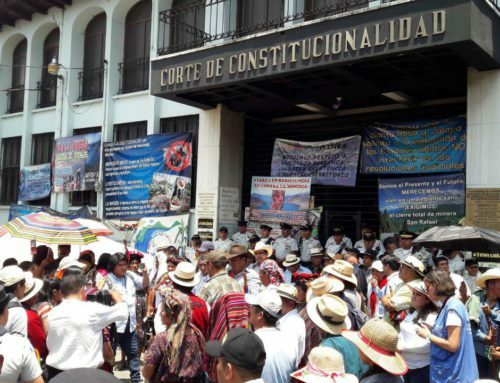 Statement from the Parliament of the Xinca People of Guatemala and the Peaceful Resistance of Santa Rosa, Jalapa, and Jutiapa regarding events that occurred last Thursday, February 15th in the community of El Tablón, municipality of Casillas, Santa Rosa. 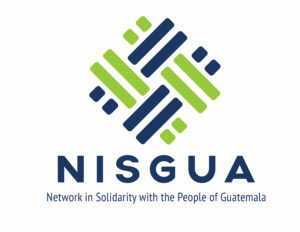 That on repeated occasions in various communities in municipalities in the region, the company, Minera San Rafael – aware that there is a provisional suspension of its operations – insists on visiting communities to try to coerce people to accept its project or to generate conflict, then uses this to try to make the people in Guatemala believe that it is local communities who are generating conflict. That it is disappointing that the company insists on trying to seek support, since it has been shown on more than one occasion that the population in the majority of communities in the project’s area of influence has asked the company to withdraw because they do not want the mining project to continue exploiting our territory. We are concerned about the biased way in which various media outlets have framed the news, using language that seeks to criminalize social protest, for instance using words such as ‘kidnapping’, ‘hostage taking’, among others. 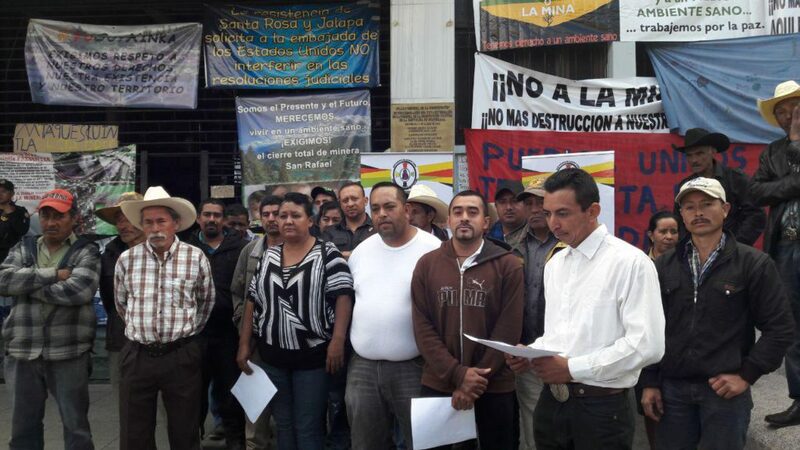 That we reject the public statements made by the Chamber of Industry and the Chamber of Agriculture, which try to victimize company representatives and provoke unfounded persecution against communities in resistance to the Escobal project, while seeking to influence the Constitutional Court to resolve in their favor. 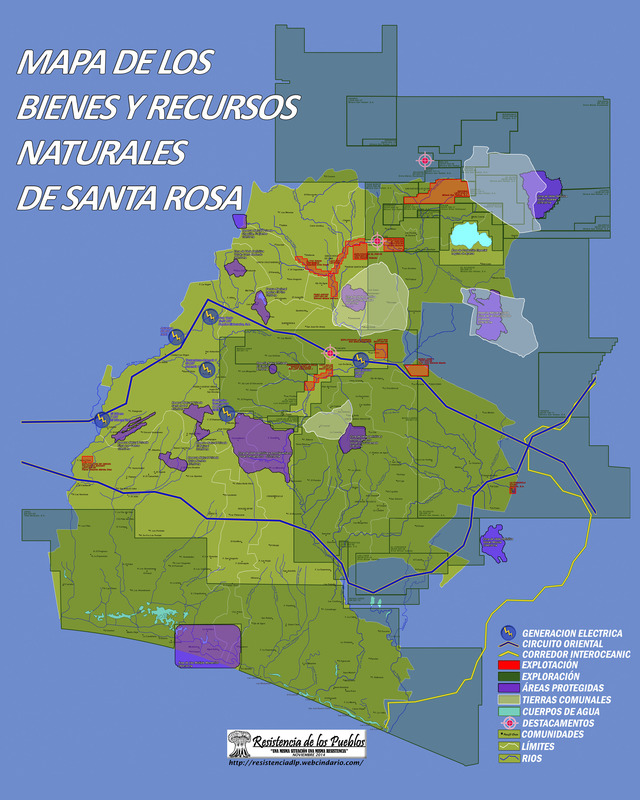 That, once again, this exposes Minera San Rafael’s efforts to create conflict in the communities to its benefit. As such, we urge the Constitutional Court to carry out an in-depth analysis of the scope of the resolution before it, taking into consideration the collective wellbeing and peace in our communities. That we reject any act of provocation orchestrated by Minera San Rafael in our communities where—through consultation processes, community agreements, public statements, press conferences, among other actions—we have expressed our opposition to the continued exploitation of our lands. That business associations, such as the Guatemalan Chamber of Industry and the Chamber of Agriculture, use these sorts of tactics to manipulate information to pressure the Constitutional Court. The manipulation of information by radio and written media outlets such as Prensa Libre, Emisoras Unidas, El Espectador, Santa Roseño, Mining Works Gt., El Periodico, Soy 502, among others; outlets that published information provided by Minera San Rafael without checking the facts first. 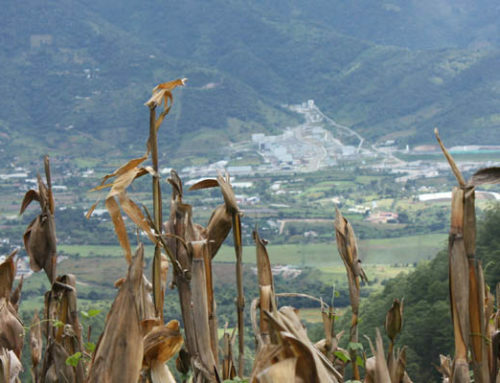 The Public Prosecutor’s office to immediately visit Minera San Rafael’s facilities to determine whether it is complying with the resolution of the Supreme Court of Justice that suspends the Escobal project’s exploitation license, considering that we have repeatedly and publicly denounced helicopter and truck activity that is unnecessary for a suspended project. Because human rights should prevail over all other laws. Because Minera San Rafael is a company without a social license that abuses human rights and is only interested in their own profit.